This webpage resulted from an inquiry by Melanie Downey of South Branch/Coal Brook re Mattie's final resting place to her friend David Gillam. Dave emailed me and I related the info below. I asked if he could get me a photo of the headstone. On May 30th 2013 they visited the cemetery and took the two photos below. Mattie was originally buried in 1921 in the RC graveyard that overlooked the site for the soon to be built paper mill. Unfortunately it was in a location that was to be used as fill for the millsite, so all the bodies were disinterred and moved to the then "new" RC cemetery in the mill townsite. This is now the "old" RC cemetery and is located on Montgomery Street behind the Western Memorial Hospital. 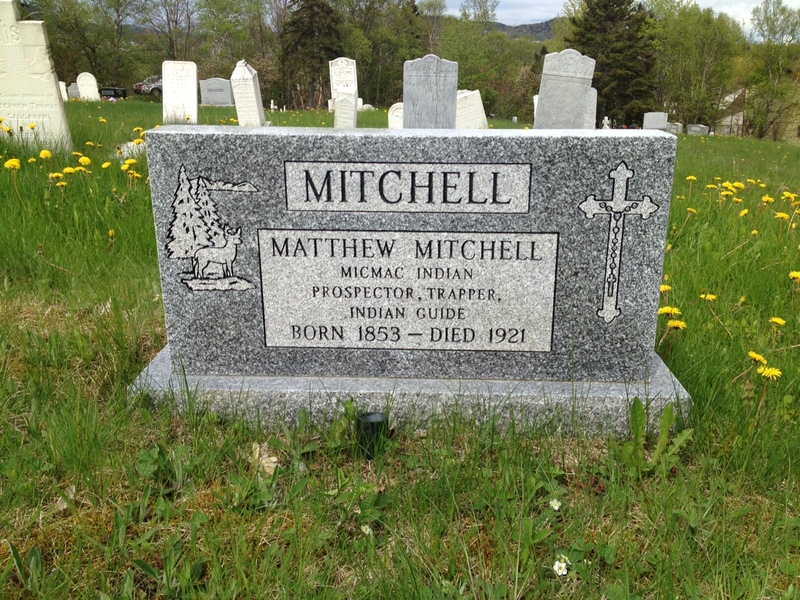 In the early 90's Jerome (Jack Mitchell's son ) erected a headstone over Mattie's grave. My wife and I first visited it in 1995 when we were home. Curiously it shows Mattie's birth as 1853 when it was actually 1844 or 1846 as discussed in the Birth Page. 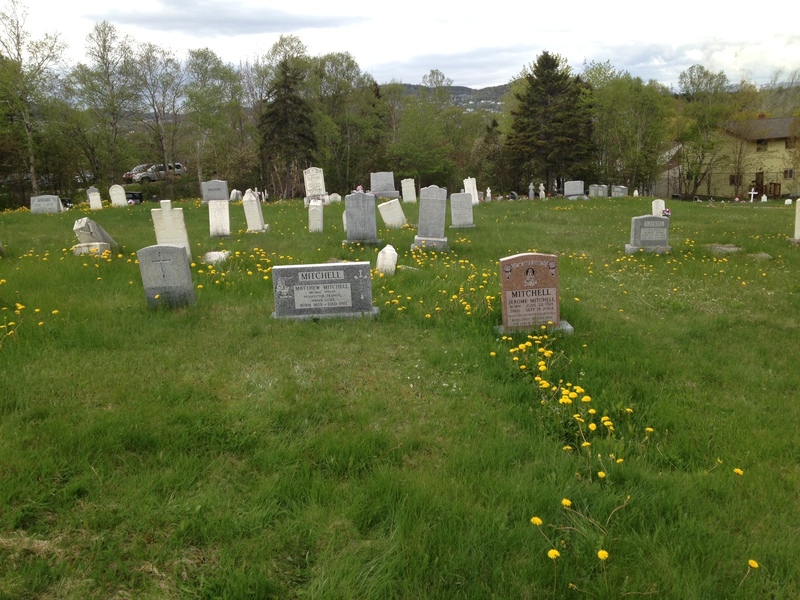 My wife heard from another cousin while home that a 1994 CBC Radio broadcast from St. John's by Ray Bellew spoke of Mattie's original gravesite. His guest Dr. Cyril Byrnes said he interviewed one of the gravediggers who disinterred the body in 1923 and when they did they found it in perfect condition. This only adds to the Legend of Mattie Mitchell. When Jerome died in Sept. 2002, he was buried next to his grandfather.